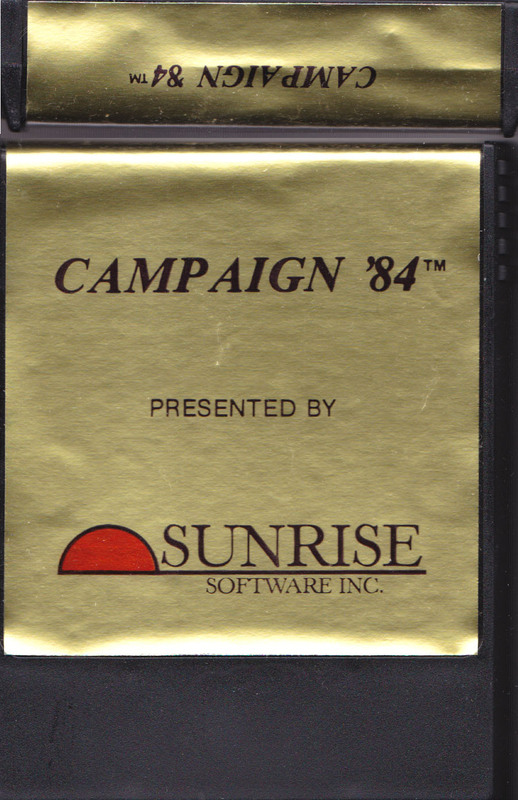 Campaign'84™ is a trademark of Sunrise Software, Inc.
Programmed by VSS, Inc. Of Dallas, Texas. 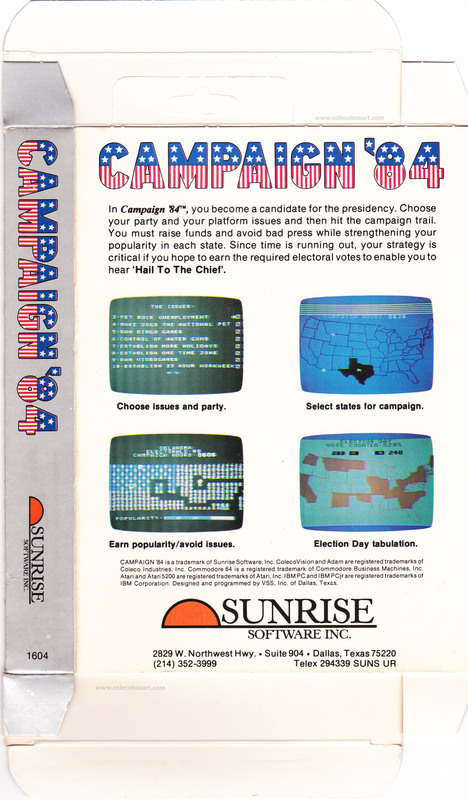 You become a candidate for the presidency. 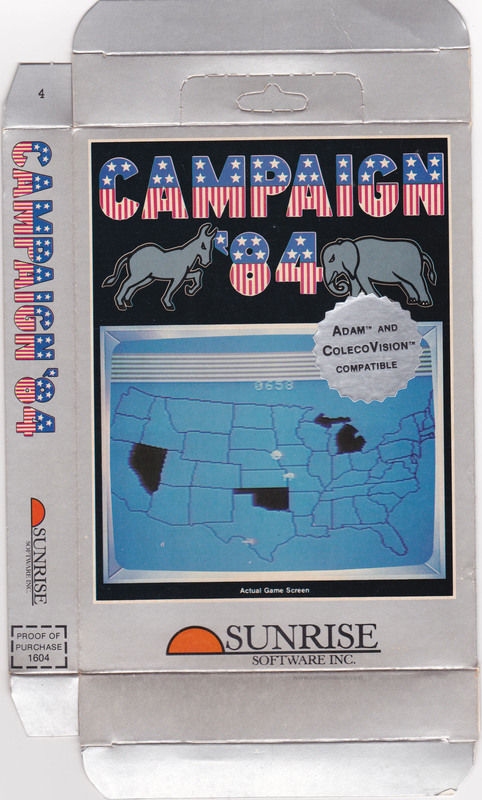 Choose your party and your platform issues and then hit the campaign trail. 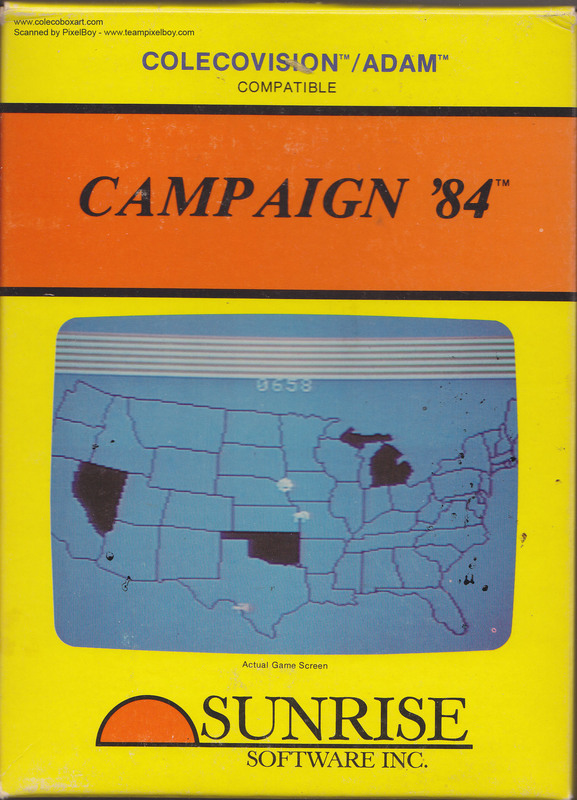 You must raise funds and avoid bad press while strengthening your popularity in each state. 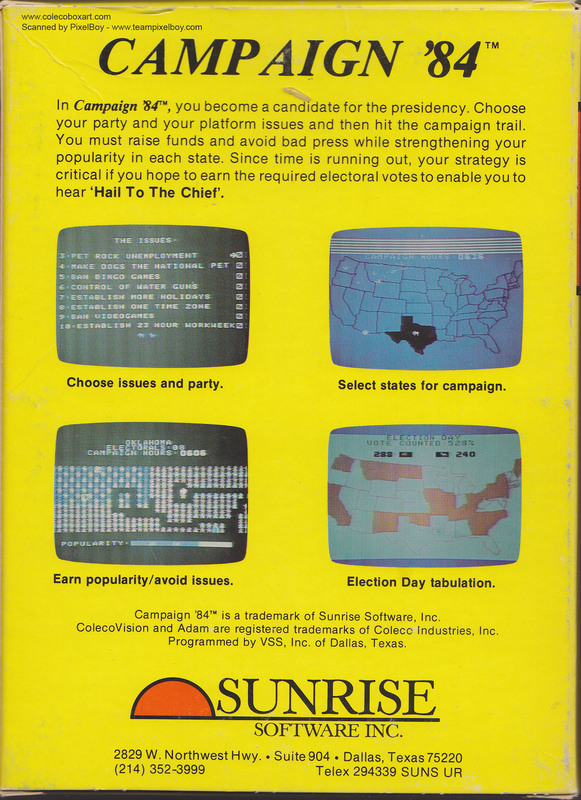 Since time is running out, your strategy is critical if you hope to earn the required electoral votes to enable you to hear "Hail To The Chief".